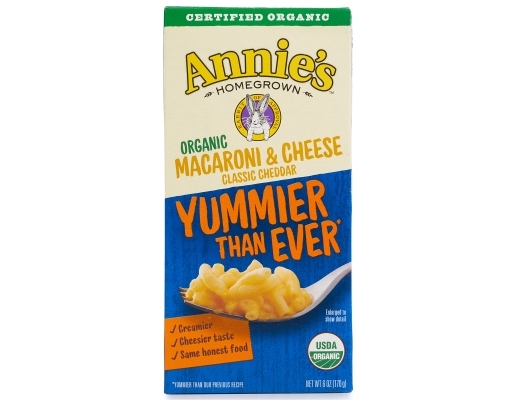 Annie’s Organic Macaroni & Cheese is made with 100% real cheese and organic pasta, so you can feel good feeding it to your family. 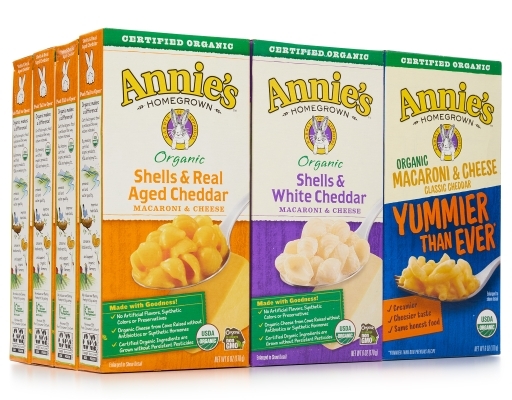 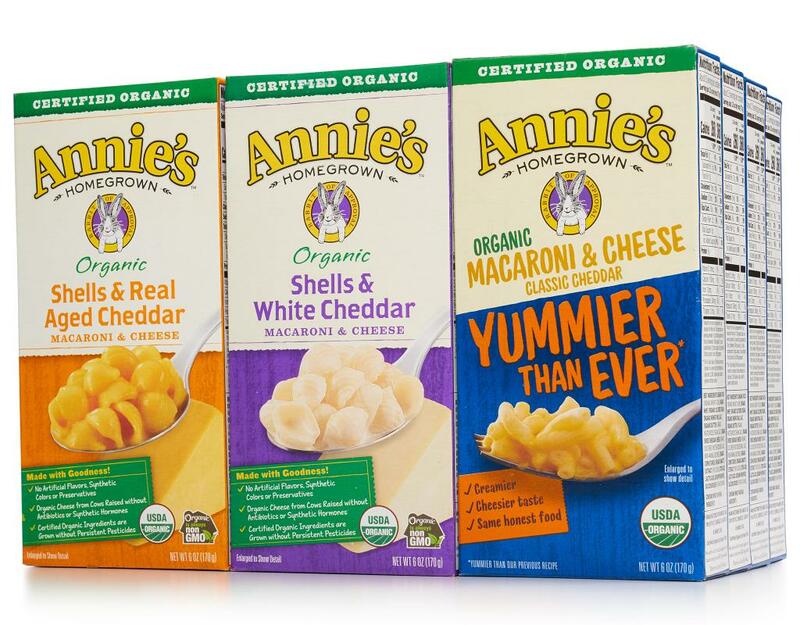 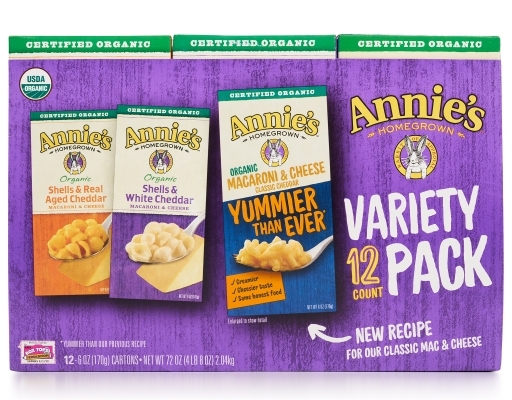 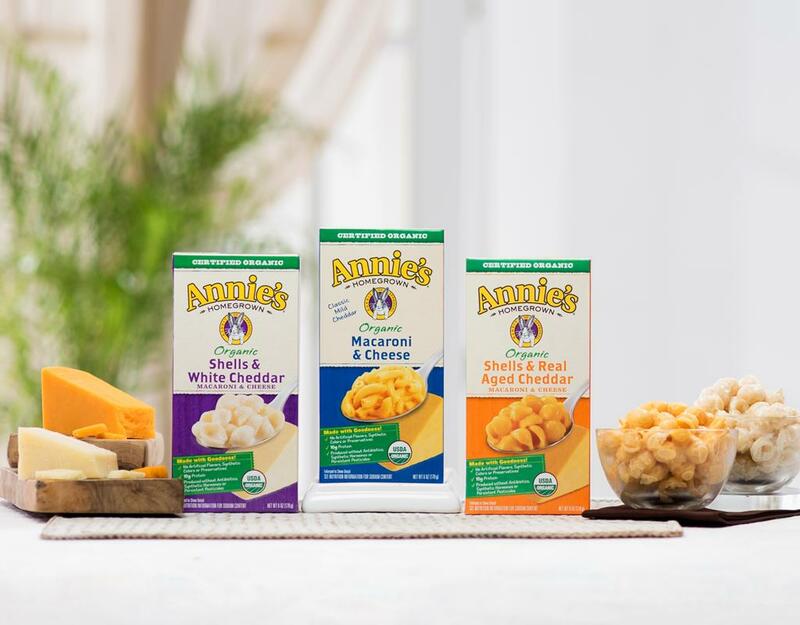 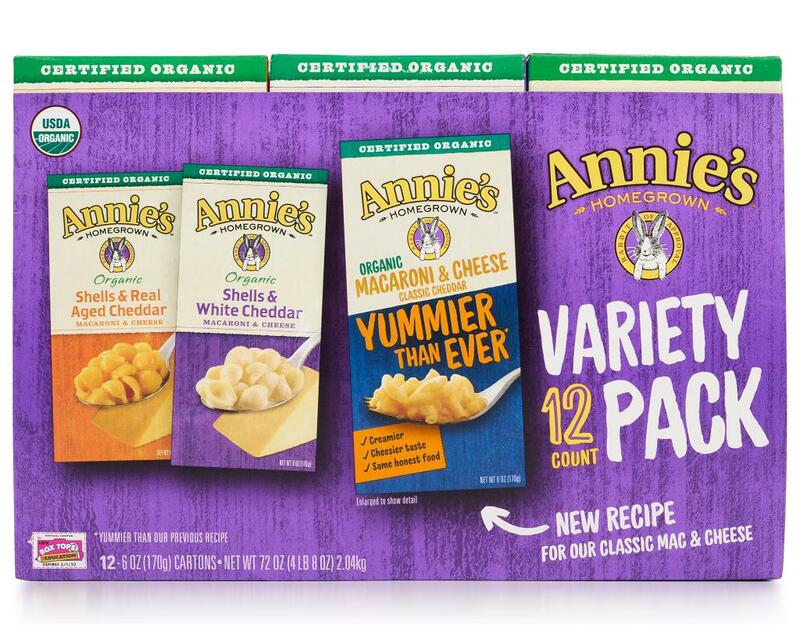 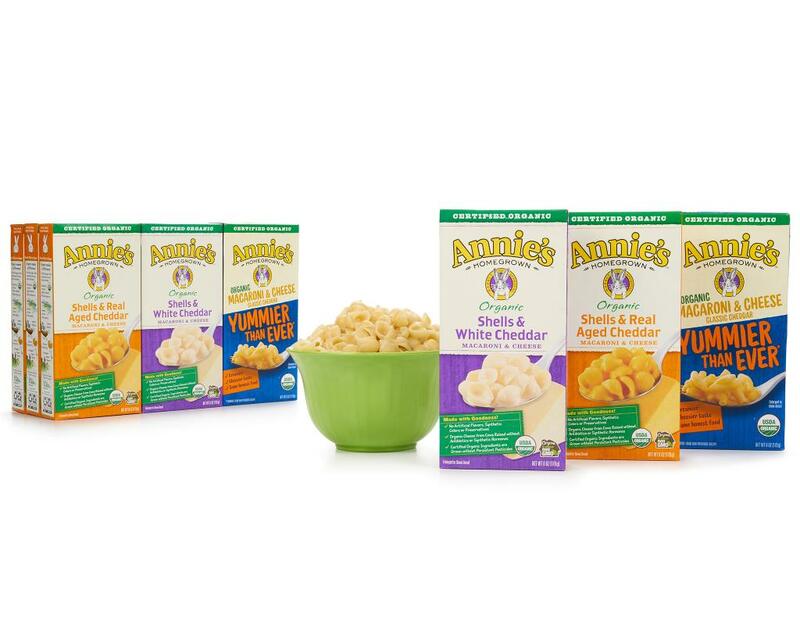 Our Annie’s Mac & Cheese 12-pack comes with three varieties that will keep dinner interesting, all with the Annie’s homegrown promise of no artificial flavors, synthetic colors, or preservatives. 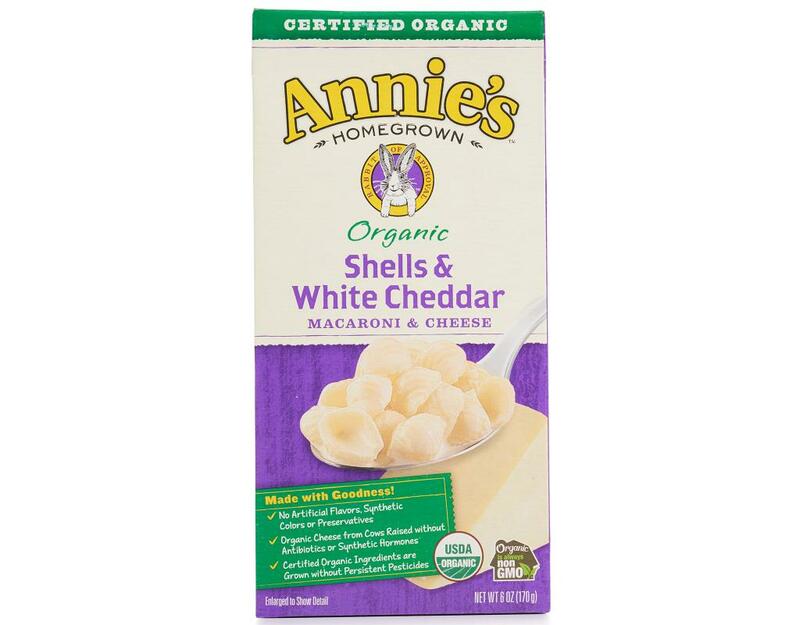 Enjoy organic mac and cheese at home with Annie’s. 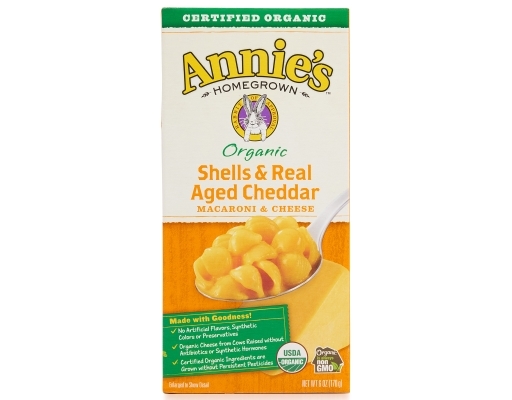 Shells & Real Aged Cheddar: Organic Wheat Shell Pasta, Organic Cheddar Cheese (Organic Cultured Pasteurized Milk, Salt, Non-Animal Enzymes), Organic Whey, Salt, Sodium Phosphate, Organic Annatto Extract For Color. 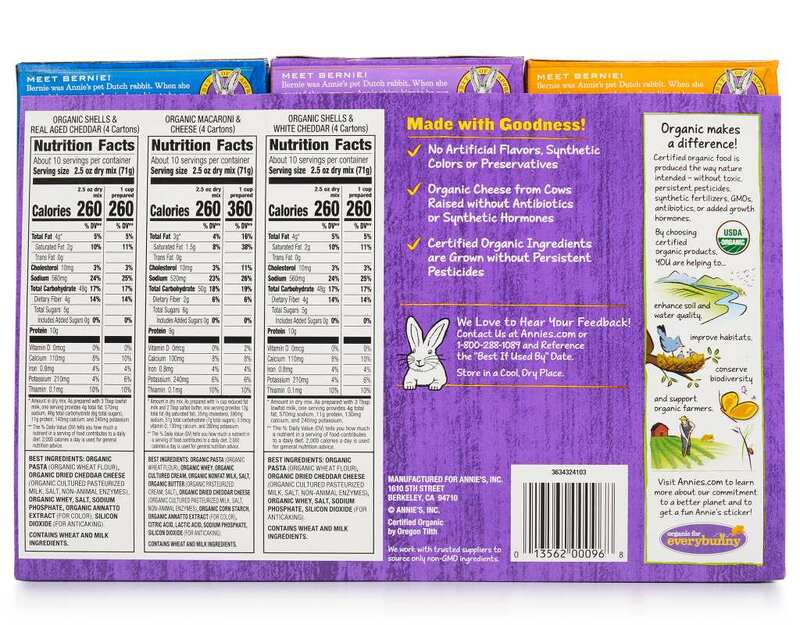 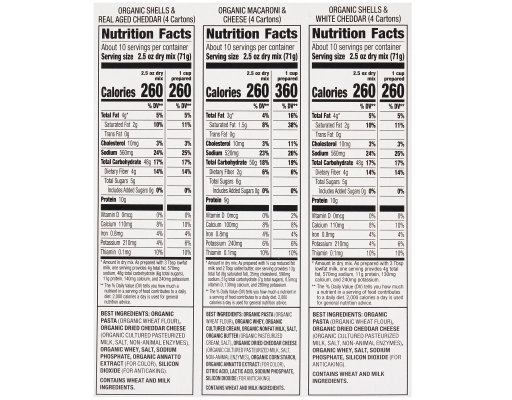 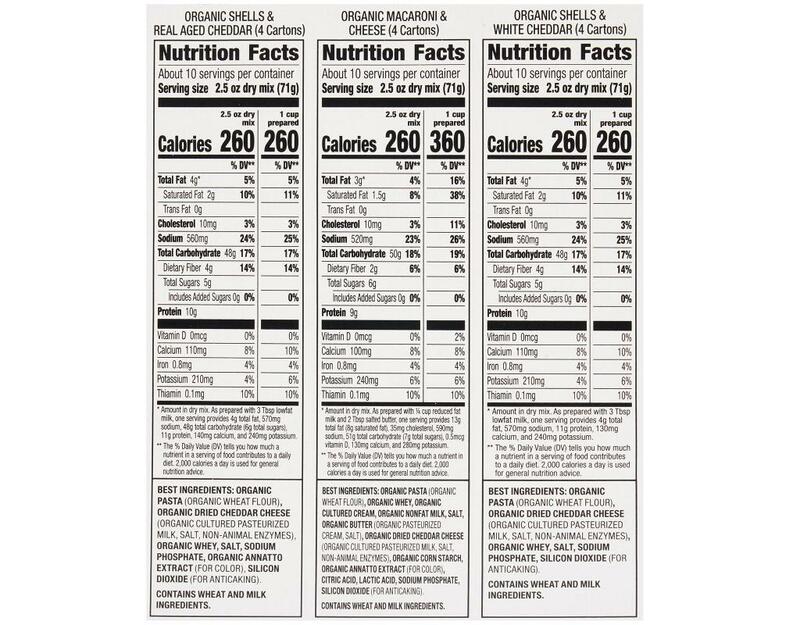 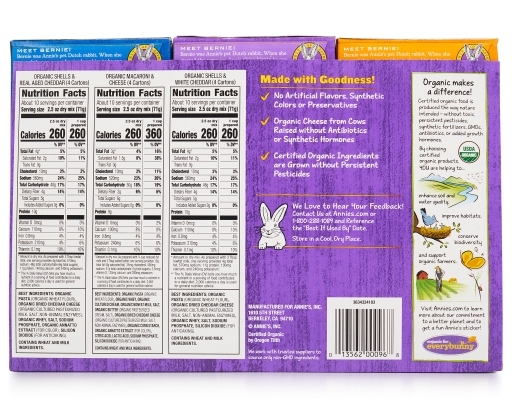 Macaroni & Cheese: Organic Wheat Macaroni, Organic Cheddar Cheese (Organic Cultured Pasteurized Milk, Salt, Non-Animal Enzymes), Organic Whey, Organic Nonfat Milk, Organic Cream, Salt, Sodium Phosphate, Organic Annatto Extract For Color.